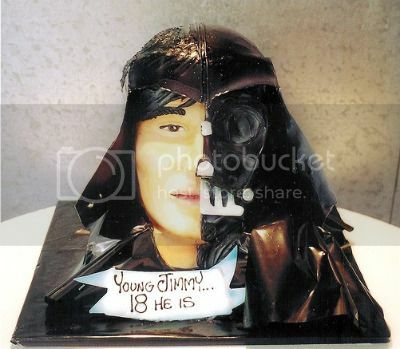 When you’re looking for someone to blame for this Darth Vader cake, turn your attention to Rosebud Cakes. Hey, don’t look at me. I just work here. And occasionally ride Cake Wrecks‘ coattails. Is that real hair? By the gods… that is atrocious… and not in a good way. Not in a bad way. Why? Whyyy? Of all the cakes in all the world, they had to make that one?